End Date : Until October 31, 2018. Bonus : Up to 50% bonus on initial deposits. 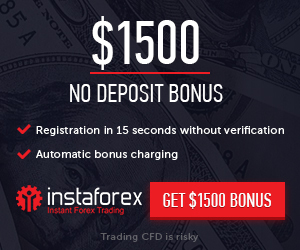 Withdraw : In order to withdraw your bonus, you are required to execute a minimum trading volume of 1lot for Forex, Metal,Energy,Cryptocurrency or 100 shares for every 5 base currency bonus within 6 months. If you fail to trade the required amount during this time frame – your bonus will be cancelled and removed from your account. 3. Clients from the following countries are not eligible for this promotion : European countries, Bangladesh, China, Hong Kong, Indonesia, Iran, Macao, Malaysia, Mongolia, Pakistan, Taiwan, Thailand.